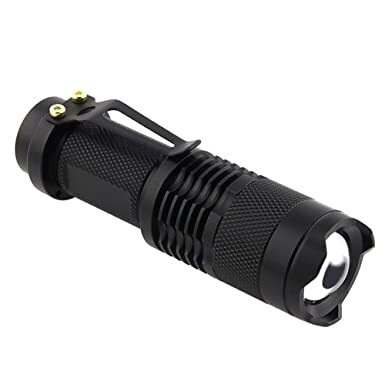 FordEx Group 300lm Mini Cree Led Flashlight Torch Adjustable Focus Zoom Light Lamp for $4 from Amazon. Free Shipping. It says it ships from Hong Kong so it will probably take a while for it to come. In my experience, this does not come with any batteries , so you might want to pick up Rechargeable Batteries and Charger as well.